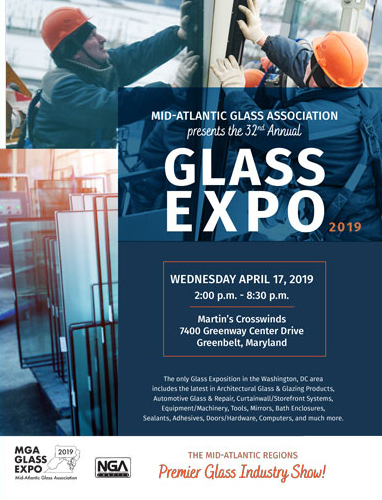 Please come join us at 32nd Annual MID-ATLANTIC GLASS ASSOCIATION GLASS EXPO 2019! Get Your Free Ticket RIGHT NOW! !